When I saw the thumbnail of this photo, I thought that his beard was drawn in by Sharpie. Instead it's just a kind of terrible chinstrap/goatee combo that he actually willfully grew while awake. 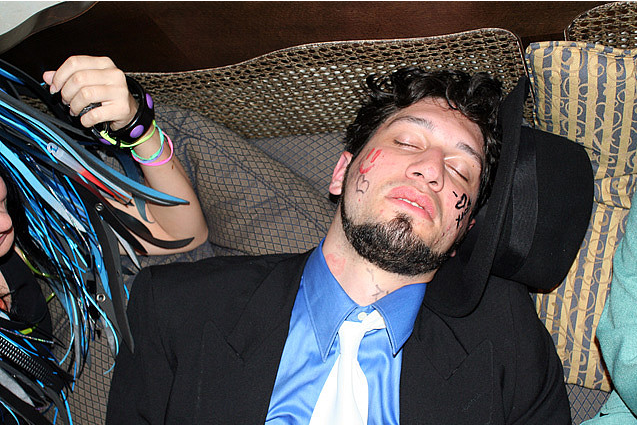 i think the girl wearing the stupid matrix/raver wig is a worse offense than his facial hair. just awfull people.